Nordhavn A/S supplies complete propulsion systems including engine, transmission and propeller system, but can also deliver single components. Our product range for propulsion engines is very extensive and covers a wide range of applications. Our engine programme meets all environmental standards. Nordhavn supplies complete propulsion systems including engine, transmission and propeller system, but can also deliver single components. Our range of diesel engines is extensive and covers a wide range of applications. 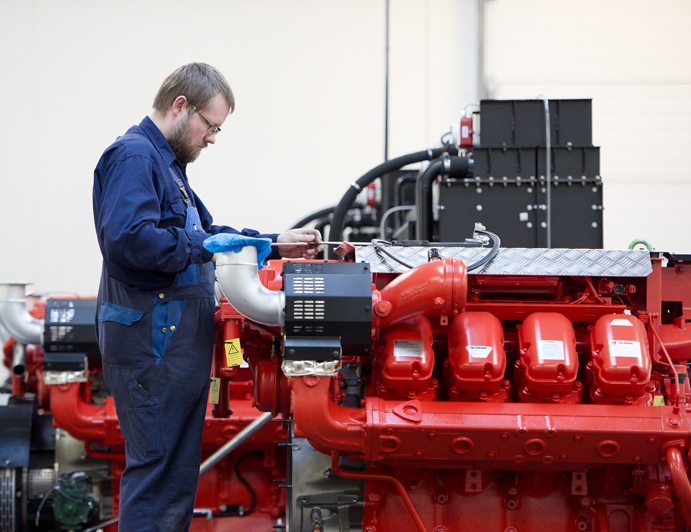 Our engine programme is based on diesel engines from Scania and Agco (Sisu) with documented low fuel consumption. Our engines live up to all environmental standards and can be delivered with EIAPP certificate if needed.